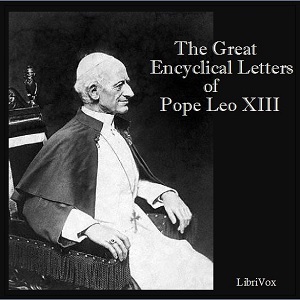 Pope Leo XIII (2 March 1810 – 20 July 1903), born Vincenzo Gioacchino Raffaele Luigi Pecci to an Italian comital family, reigned from 20 February 1878 to his death in 1903. He was the oldest pope (reigning until the age of 93), and had the third longest pontificate. He is well known for his intellectualism, the development of social teachings with his famous papal encyclical Rerum Novarum and his attempts to define the position of the Catholic Church with regard to modern thinking. He issued a record eleven encyclicals on the rosary earning the moniker the "Rosary Pope".